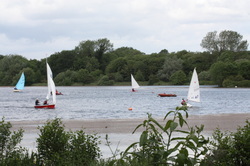 I used to come here as a child to go sailing, and had no idea there was a nature reserve next to the lake, or that there is much more than one lake! The nature trail skirts alongside the lakes, with bird hides dotted along the path to sit quietly and see fantastic birds including cormorants, herons and bitterns as well as our favourite, ducks and geese. There is a pushchair/wheelchair friendly circular route, which is a dirt track, so can be muddy even in the summer. If you choose to venture further, there is a wonderful long track that runs right next to a long line of lakes, with a fabulous row of trees besides it. 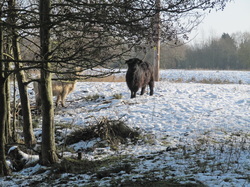 The reserve is managed by The Suffolk Wildlife Trust, and is a fantastic place to come with a small explorer and a pair of binoculars. It is breathtakingly beautiful all year round. 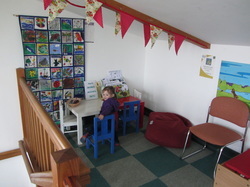 It has a small visitor centre, with some great features, including a toilet with access even when the centre is closed, a small assortment of drinks and snacks, a shop selling nature-related gifts and cards, some seating, and a splendid corner designated for children with books and colouring. This is an ideal trip out for learning about nature. There are often events on, especially during the school holidays, that are aimed at children. They have a Forest School here, and several educational events. Otherwise, you can explore yourselves and hunt for weasels, muntjacs, birds of several varieties, plants and bugs! The visitor centre has activity sheets you can use, or why not make your own list of things to spot? The Visitor Centre is open Wednesdays to Sundays and Bank Holidays. 10am to 4pm 1st Nov to 31st March; 10am to 5pm 1st April to 31st Oct. Reserve and hide network are open from dawn until dusk.